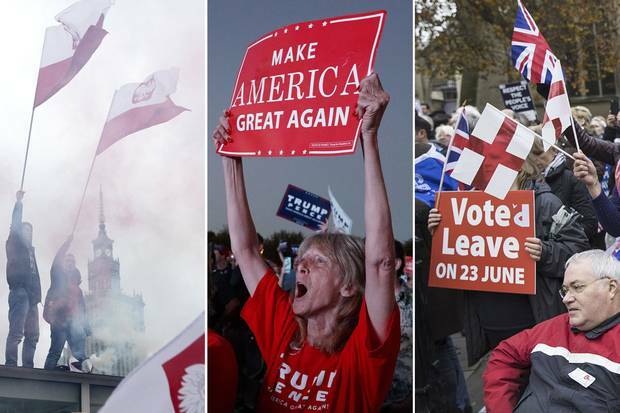 From Warsaw to Florida to London, nativist politics has been on the rise in recent years – and it is this, more than economic insecurity, that accounts for voters’ shift to populist leaders like U.S. President Donald Trump. Darrell Bricker and John Ibbitson are the authors of The Big Shift: The Seismic Change in Canadian Politics, Business, and Culture and What It Means for Our Future and the forthcoming book Empty Planet: The Shock of Global Population Decline. 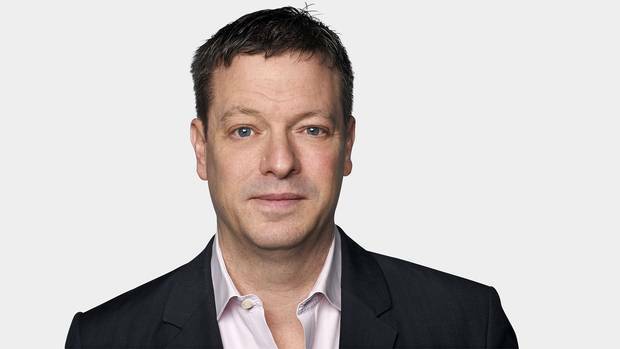 In November of last year, at the Halifax International Security Forum – the gathering of about 300 politicians, military leaders, diplomats and other experts that has emerged as perhaps the most influential annual conference on global security – a single, oppressive topic dominated the talk in the hallways and over drinks in the bars: the rise of populism. The finest minds in the fields of defence and foreign affairs from around the world grappled with the alarming reality of populations gripped by an incoherent, rage-fuelled nihilism that rejected elites on both the left and the right. A whole lot of people simply want to blow it all up, sink it, drain it, be done with it and be done with them – them being the people at the forum. The smart minds that gathered in Halifax believed they knew the cause of the rage that threatens to undermine the architecture of the Western alliance: economic inequality. Lower-middle-class white men and women in Rust Belt states who voted for Donald Trump or unemployed industrial workers in the English Midlands who voted for Brexit or working-class Poles who voted for the Law and Justice party wanted to get back at the people in the corner offices who had sacrificed their welfare by offshoring their jobs to cheap foreign labour. These assessments were all more wrong than right. Yes, there is some correlation between the economic insecurities of voters in economically depressed regions and support for populist causes. But the greater source of combustion is nativism: a fear of foreigners coming into your community and undermining your culture and way of life. Populist reaction "is about ethnic shifts," said Eric Kaufmann, the B.C.-raised political scientist at the University of London and the author of the forthcoming book Whiteshift: Immigration, Populism and the Myth of Majority Decline. He believes cultural, not economic, insecurity is the driving force behind populism. He does not view people worried about immigration as white supremacists or ethnic nationalists. "But they are looking to slow down the rate of ethnic shifting." Peter Loewen agrees. The director of the School of Public Policy and Governance at University of Toronto has been researching the drivers of populist sentiment in nine countries. The dominant driver? "It's the perception of immigrants taking away jobs, it's not about economic uncertainty, rising inequality, whatever." And not just jobs. "It's about threatening a way of life. In a word, it is nativism." Some people believe Canada is more enlightened than other countries, more accepting of new arrivals, and, in the main, we are. But this country, too, remains vulnerable to a demagogic politician who ignites nativist resentment for his own political gain. To douse the kindling that could feed such a flame, Canadian elites need to address fears of cultural dilution by nativists. And although this may seem counterintuitive, conservatives may be better able to make the case than progressives. An analysis conducted by Emily Ekins for the non-partisan Democratic Fund Voter Study Group found that, of the five voting types who cast a ballot for Mr. Trump, the two groups who were his most loyal supporters – American preservationists and staunch conservatives, representing half of all Trump voters – disagreed on economic issues but shared their dislike for high levels of immigration. Similarly, numerous studies showed that resentment toward immigrants, not simply economic insecurity, fuelled the vote to take Britain out of the European Union. "Immigration unified traditional and more affluent social conservatives on the right with blue-collar, left-behind workers on the left, and in 2016 this … found its full expression in the vote for Brexit," wrote Matthew Goodwin, a political scientist at the University of Kent and author of Brexit: Why Britain Voted to Leave the European Union. And since the referendum, he added, "voters have been subjected to an almost daily avalanche of economic forecasts of the kind that appeared to make no real difference to public opinion … and yet we have not had a comparable discussion about what a future immigration policy might look like and how this could be built around a public consensus." Opposition to immigration is a constant in developed countries. Forty-eight per cent of Americans agree with the statement "there are too many immigrants in our country," according to Ipsos Public Affairs polls. Forty-five per cent of Britons agree, as do a majority – 53 per cent – of the French and 50 per cent of Germans. Canadian governments have been able to promote robust immigration with minimal social disruption because successive federal governments over the past three decades always made sure that our immigrant selection process favoured candidates who are poised for successful integration. They have also embraced multiculturalism as a national project. Nonetheless, about 35 per cent of Canadians say Canada is letting in too many immigrants. If one Canadian in 10 switched to that view, we would be no more tolerant than Americans on immigration issues. Our political elites play with fire when they argue in vague terms that high levels of immigration promote economic growth or when they appeal to personal compassion or speak of a prosperous nation's duty to help the less fortunate. Such messaging will be taken by those who are concerned about immigration as self-serving and hypocritical. Telling immigration opponents – and we confess that we have done this ourselves in the past – that they don't understand economic realities or are simply bigots is just asking for trouble. All you need is one populist demagogue with a match. Politicians and political analysts who dismiss or discount opposition to immigration place their societies in jeopardy in two different ways. First, smart people who refuse to acknowledge the depth of anti-immigrant sentiment are not looking for solutions, and we need to find those solutions. Second, by dismissing nativist concerns, they are proving the argument of local demagogues who claim that the elites are out of touch and only they understand the grievances of "real" Americans/Britons/Canadians, etc. To be clear: We are fervent proponents of immigration and multiculturalism and have said so separately and together many times in books and columns. But we are forced to confront a difficult truth: Many of our fellow citizens don't agree with us. Today's populist rebellions are nothing more than the exploitation of gullible voters by politicians who are willing to stoke nativist resentment that other elites ignore and who couldn't care less about how badly they damage their societies in the process. They are the enablers. But it took years of neglect by more conventional politicians, academics, journalists and other thought leaders to create the conditions that allowed populist politicians to emerge. And still these mainstream elites are in denial. It's time they faced the truth: It isn't the economy, stupid. 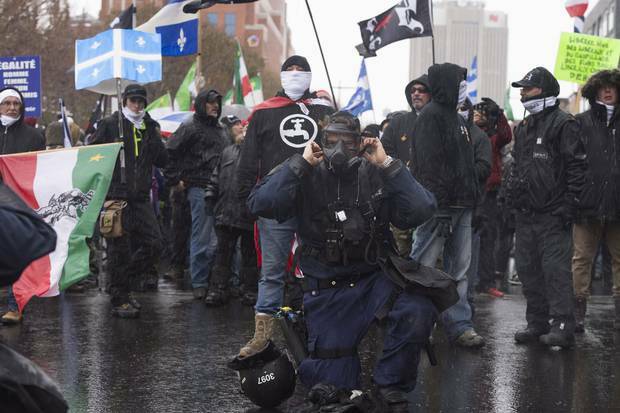 Nov. 25, 2017: A police officer puts on his gas mask in front of members of Storm Alliance at a Quebec City demonstration where extreme right groups and antifacists faced one another. Organizations like Storm Alliance and La Meute are signs that Canada is not immune from right-wing, racist and anti-immigration movements. Beyond promoting immigration for economic and compassionate reasons, Canadian politicians like to maintain that, as Prime Minister Justin Trudeau puts it, "diversity is strength." The presumption is that a society composed of different languages, cultures, faiths and traditions is stronger for the synergies created by these diverse streams. This may be true when it comes to cultural creativity or business innovation. But it doesn't play out on the street. In 2007, Harvard University political scientist Robert Putnam published a landmark study, based on a survey of 30,000 Americans, that concluded people living in diverse neighbourhoods had lower levels of trust in their neighbours than people living in homogeneous neighbourhoods and were less interested in voting, volunteering and donating to charities. Nine years later, two other researchers, Maria Abascal, then of Princeton University, and Delia Baldassarri of New York University, sought to disprove Prof. Putnam's study. Using the same data, they concluded that this lack of comfort with diversity only applied to one group. As Scientific American described their findings, "when it comes to distrust and diversity, most of the distrust is expressed by whites who feel uncomfortable living amongst racial minorities." Diversity, whatever its other strengths, weakens social cohesion. In the United States, it led to endless white discrimination against African-Americans that continues to this day, abetted by resentment toward Latino immigrants – legal and illegal. In Canada, linguistic and cultural divisions led to two referenda on sovereignty for Quebec that could have wrecked the country. The Western alienation that stoked the Reform Party in the 1990s had an anti-immigrant component that its leadership only partly managed to suppress. And lest we forget, Canada produced Toronto mayor Rob Ford long before the United States elected Mr. Trump or the anti-immigrant Nigel Farage helped lead the Leave side in Britain to victory. 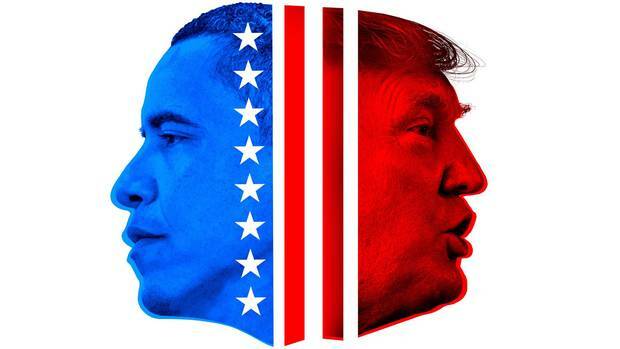 Refusing to acknowledge the cultural fears of many voters can lead "to worse rationalization – terrorism, crime," Prof. Kaufmann said. Practically the first words out Mr. Trump's mouth, when he announced his bid for the presidency in 2015, was a warning that immigrants from Mexico were dangerous. "They're bringing drugs. They're bringing crime. They're rapists." "Surely it's better just to say you want to preserve your culture," Prof. Kaufmann said. 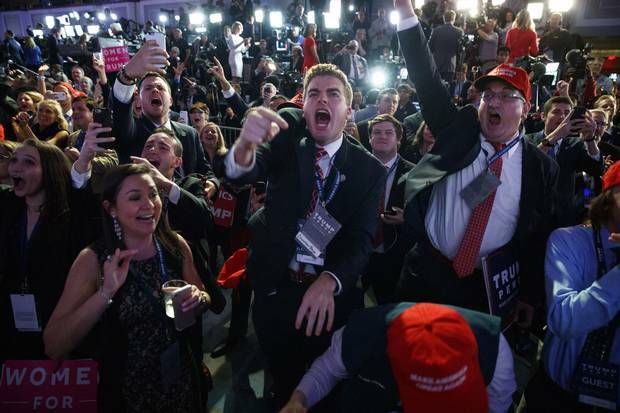 Nov. 8, 2016: Supporters of then Republican presidential candidate Donald Trump cheer as they watch election returns in New York. So what is a better approach than simply dismissing the cultural insecurities of voters? First, leaders in politics and journalism and the academy and other fields need to respect where people are coming from – even when they profoundly disagree with where people are coming from. "If people have concerns, and their concerns are being expressed in anti-immigration sentiment, then you've got to ask: Are these people just straight-out opposed to immigrants or do they have something else they're fearful of or concerned about?" Prof. Loewen said. "And you've got to speak to those concerns in an even-handed and honest fashion." Second, play down the grand theories about the advantages of immigration, globalization and economic diversification. It'll all be labelled fake news. And do not appeal to people's compassion. There is little of it about. Instead, show – don't tell, show – how immigration is making things better on your street, in your neighbourhood. Make it positive and make it personal. Micromessage. In these conversations, conservatives have one advantage over progressives. Conservatives share the same attitude toward economic issues as most middle-class immigrants from places such as the Philippines, India and China, Canada's three top source countries. Conservatives and many immigrants favour business over government, the private sector over the public sector. They want fewer regulations and less bureaucracy, more freedom and greater personal responsibility, including responsibility for protecting the family and community. Stephen Harper's decade-long tenure as a Conservative prime minister depended in part on his party's ability to coalesce immigrant voters in suburban ridings in greater Toronto and Vancouver with traditional rural and Prairie conservatives. Not only can that coalition be politically advantageous, it creates a space where people who might be tempted to embrace nativist sentiments can find themselves talking and agreeing with like-minded new arrivals. For social cohesion, such conversations are precious. Some would say the best way to address concerns over immigration would be to scale back the number of people coming in, especially from countries whose cultures are far removed from Canada's Christian, European settler heritage. We can't endorse that view. We know how important immigration is to smoothing the curve of an aging society with low fertility rates. And personally, we adore the multicultural ferment of our big cities. But we must understand and accept that cultural insecurity affects millions of our fellow citizens. We must address those concerns by celebrating the best of what they cherish and by showing how immigrants cherish the same things – perhaps even more than some of the more progressive of their fellow citizens. We need to remind ourselves that we are all in this together, old stock as well as new, and we all need to listen to each other with respect. Otherwise, the next Donald Trump, the next noxious referendum, the next wall of exclusion await us all. 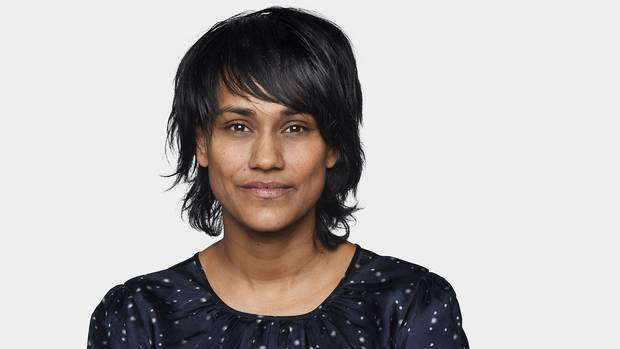 Denise Balkissoon: The Quebec mosque shooting: Je me souviens We avoid trauma and tragedy because we’re afraid, but for the anniversary of the massacre approaches, Canada’s Muslims reminded us to look. Doug Saunders: Europe’s multicultural fears hide an integration success story Far from creating ‘parallel societies,’ immigrant populations have largely rejected multiculturalism.